Sneak Zucchini Into Your Diet With These Cheesy Bite-Sized Snacks! Crunchy, cheesy and bite-sized — what’s not to love? Give the kids some crispy, cheesy bites without frying and without feeling guilty. Baking these cheesy zucchini balls instead of frying them creates a healthier, lighter-tasting dish, and we don’t even have to tell the kids there’s zucchini in there. 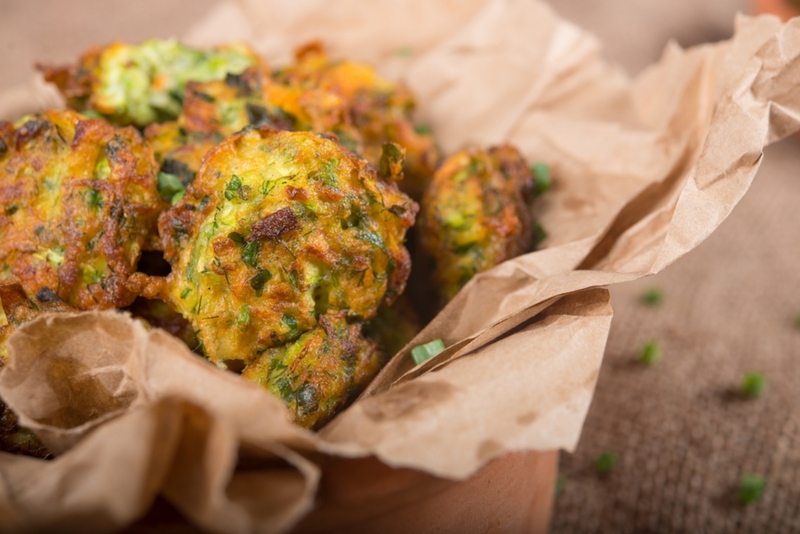 This cheesy zucchini balls recipe borrows from tater tots, a tried-and-true childhood favorite, while packing in a lot more nutrients. Make it gluten-free by simply swapping out the bread crumbs for the gluten-free version. These cheesy zucchini balls are great for snacks, and the flavors really pop. They also make delicious substitutes for meatballs in vegetarian dishes. Drain shredded zucchini on folded paper towels while preparing other ingredients. Combine all ingredients except breadcrumbs in a medium mixing bowl, and mix well by hand. Add enough breadcrumbs to hold the mixture together, and use a small cookie scoop or spoon to form about 20 1-inch balls. Place balls on a lightly greased cookie sheet.